We are committed to an inclusive approach to recreation and leisure activities and encourage people with disabilities to consider all recreation classes throughout this brochure. We also offer programs such as a summer day camp for youth who have developmental disabilities and dinners, dances and day-trips for adults. If you are a person with a disability and would like more information regarding accessibility of the facility, please call 296-2587. Patrons who require assistance to participate in our drop-in activities are required to pay admission, but their attendants are admitted at no charge. Some of our upcoming programs are highlighted below. You can view our entire program offering in the Activities Guide. 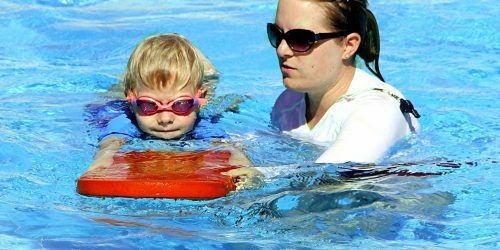 This class offers one-on-one swim instruction for those individuals who have physical or emotional special needs. 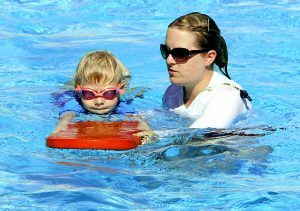 Class is taught by an authorized swim lesson instructor. 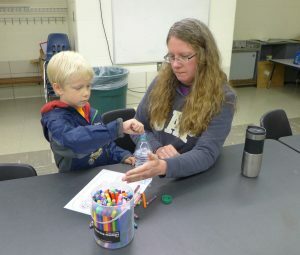 We offer this art class each season for kids ages 3 - 6 on the Autism Spectrum and their "buddies" (parent or caregiver). 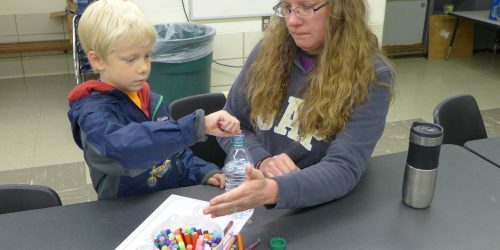 Each student will receive individualized attention from an experienced art teacher. At the very heart of our Access to Recreation program is our group of leisure assistants. If you would like to offer support so that individuals with disabilities may participate fully in recreation and leisure activities in our community, please call the Volunteer Resources Manager at 296-2433. 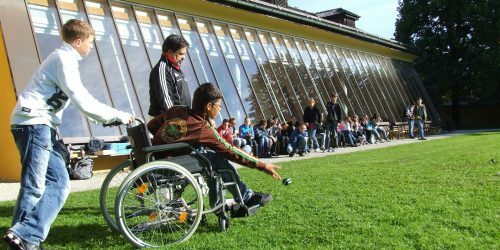 Remember, there is still much to be done in providing activities for people with disabilities. You can make a difference!